Jun. 17, 2018, 9:30 a.m. But for Benavides and many others, feeding people arepas and tequeños was not enough. Over the past year or so, the organization’s mission has expanded. Members now work to bring awareness to the humanitarian crisis that has decimated the country since 1999, and to find ways in which they — and the greater Philadelphia community — can provide aid efficaciously. This has begun to be accomplished through forums in City Hall, marches, plebiscites and medicine drives. Advocacy work, philanthropy and lobbying have become the cornerstone of Casa de Venezuela’s new direction. The group has received support from the Kenney Administration and gotten good feedback from the public at large, which has at least bolstered their faith in the value of their efforts — because all the while, the situation in Venezuela continues to worsen. Per the International Organization for Migration, nearly four million Venezuelans have been in exile for the past two decades, from what was once an exuberantly wealthy country due to its vast oil reserves. Combined with sporadic news footage that makes it outside the borders, the harrowing testimonies of the “Phillyzuelans” Billy Penn spoke with convey a narrative of economic collapse, nonexistent government oversight and military corruption. 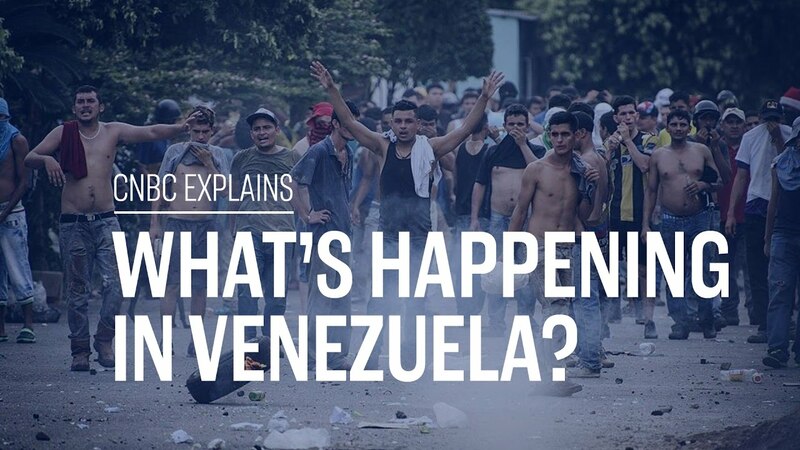 Famine, massive inflation, kidnappings, shortages of medicine, power outages, political persecution and imprisonment, state violence, legal limbo and “disappearances” are the norm of Venezuelan life, a common thread in posts that have leaked from the country and from the personal accounts of Venezuelan refugees in the U.S. Unlike the longstanding U.S. Constitution, the Venezuelan constitution was altered in 1999 by former President Hugo Chávez, establishing a socialist government with dictatorial goals. Following Chávez’s death in March, 2013, Maduro assumed the presidency. Just last month, on May 20, 2018, Maduro was “elected” for a second six-year term. Roberto Torres Luzardo, a Technically Philly reporter since 2016, has noted a common misconception among Philadelphians: that the crisis in his home country is recent. Torres Luzardo posits that the realities of his country today don’t stem from some acute crisis that has reached a boiling point. Rather, he suggests, Venezuelan society has suffered a systemic problem, a complete downfall of every institution that has had a democratic role within the country. “It is much broader than what people can imagine,” he said. Benavides echoes Torres Luzardo’s concerns over ignorance about Venezuela, particularly that of the results of socialism. In a city like Philadelphia, where there are so many academics and so many liberal intellectuals, socialism is hailed, he said. For example, at Temple, Benavides noted, there is a group called “Defensores del Proceso Chávez” (Defenders of the Chávez Process). “I’d be lying to you if I didn’t say that the things that Bernie Sanders mentioned during his campaign didn’t sway or entice me,” Benavides admitted sadly. “The ideas of universal education, universal healthcare, all of these benefits for the whole population, the promise of equality and justice, those are all beautiful. Isabel Fernández is only 22 years old, but as a recent Venezuelan émigré, she has already endured hardship most will never experience. In the most famous hospital in Venezuela, Fernández recalled, a young girl died from allergic asphyxiation because they didn’t have EpiPens readily available. “You have to always watch your back, always look around. Stepping outside of your house is a risk of attacks or threats. One time, I was held at gunpoint because these delinquents wanted my phone,” she recounted. Thanks to a student visa and relatives in Upper Darby, Fernández has been able to live in peace and study at Delaware Community College in a subject she would have never had a chance to in Venezuela: communications. She is hoping to transfer to Temple University to further her studies there. Fernández loves that Philly is “super diverse,” she said, that Philadelphians have been “so agreeable and so accepting” of her nationality, and how impressive the Latin community is here. For Benavides, he wouldn’t trade Philadelphia for anywhere else in the United States. He considers the city to be his second home, even though Philly was never in his initial plans (then again, Benavides joked, running for his life from Venezuela wasn’t either). Though Benavides admitted he and his wife were stressed and heartbroken over the results of the 2016 election, they have found Philly has stayed true to its stance on being a welcoming city for all. He has been pleasantly stunned by the number of organizations in Philadelphia — both governmental and NGO — that are specifically dedicated to supporting Hispanic immigrants. With the help of the Office of Immigrant Affairs and the Welcoming Center, Benavides (who has a legal degree and was a practicing attorney in Venezuela) was able to get a retail job at Ross. Since then, he has worked his way up to becoming a stock room manager. “Philadelphia has opened its doors for me and for my family, and I am eternally grateful. I mean, wow, it really is the City of Brotherly Love,” he said. To donate, volunteer or for more information on membership or Casa de Venezuela’s mission, email info@casadevenezuela.net.